Recent comments by Russian officials on new weapon systems being developed by the country suggest a sharp focus on defense against attack from space. 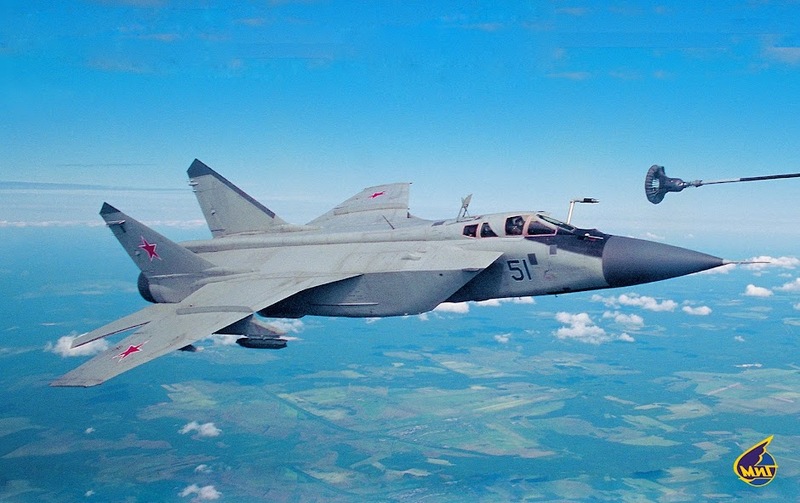 In an interview to the Russian press published on August 23, 2015, MiG CEO Sergey Korotkov alluded that the MiG-31 replacement, the PAK-DP 5th gen fighter, will feature aerospace defense capability. The following is the Google translation of what Sergey Korotkov reportedly said. "Today, it is obvious that after some time will change the nature of the threats posed by means of air and aerospace attack. There will be a part of their integration, which will require the creation of new remedies. Management understands that state. Confirmation is the creation of a new kind of Armed Forces - air and space forces of Russia. "Fighter-interceptor - the most effective means of protecting the mobile aerospace. I believe that this trend will develop. I note that our designers have unique competence in this area." The news agency quoted Vladimir Mikheev, the adviser to the deputy head of Russia's Concern Radio-Electronic Technologies (KRET) as saying, "KRET plans to begin this year, and end next year, state testing of a fundamentally new system of electronic warfare, aimed at jamming the most modern means and systems for air and space attacks." Recent organizational changes in Russian defense organizational structure reiterate the focus on aerospace defense. On August 1, 2015, Russia announced that it is merging the Russian Air Force into Aerospace Defense Forces. Aerospace Defense Forces now controls Air Force proper, Air Defense, ABM, and the Space Forces. Aerospace Defense Forces (Voyska Vozdushno-Kosmicheskoy Oborony or VKO) was created on December 1, 2011 from Space Forces, and made responsible for air and missile defense, and the operation of Russian military satellites and the Plesetsk Cosmodrome. Russia's hyper concern over attack from space leaves one wondering as to the nature of the threat perceived by them - Kinetic, electronic or both? Is the US super secretive space plane X-37 a source of Russian concerns? What exactly do the Russians fear? Guided projectiles released from space, or are they merely set on neutralizing the advantage accruing to US weapon systems from investments in GPS, space based sensors and high bandwidth satellite based data links?